Hey guys! I announced about a month ago that I was going to be participating in the 24 in 48 readathon, I did it, I had a fabulous time, and then I put off the wrap-up for ages. Well, here it is! If you don’t know what the 24 in 48 readathon is, it’s essentially a readathon that takes place over the course of 48 hours. During that time, you attempt to read for 24 hours! If you want to know more, you can check out the official 24 in 48 website! I personally think I did awesome, which I’m really happy with! I finished four books in their entirety, read about half of two different books, and just barely started another. Let’s just get into it, shall we? 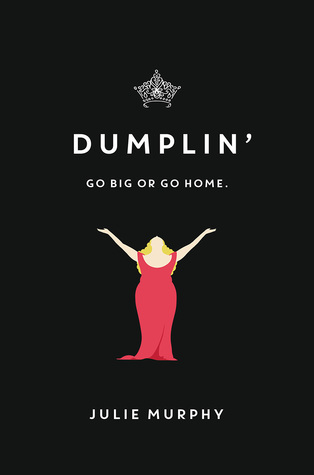 I started off the readathon at midnight (EST) on the 22nd with Dumplin’ by Julie Murphy! I had gotten about halfway through the day before, but was unable to finish it before the readathon, so I finished the last 189 pages after the readathon was started. That took me 2 hours and 7 minutes. It was a fantastic way to start the readathon, even though I began in the middle of the book! Dumplin’ is a beautiful story about a fat girl finding herself in the world and realizing that she is beautiful, no matter her size. I rated it five stars, and I’m so glad I finally got around to reading it! I’ll definitely be checking out her other two books. You can see my mini Goodreads review by clicking on the cover; I will do that for all of the books. 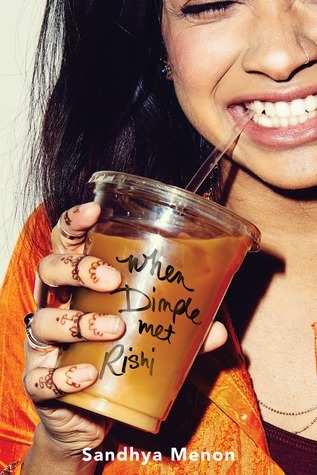 In the morning, I decided to pick up When Dimple Met Rishi by Sandhya Menon, and I am so glad I did! I had gone to the library the day before and saw this on a shelf; of course, I couldn’t pass up the opportunity! It has such fantastic representation and the relationships were adorable. I really enjoyed the characters and the story and it was overall just EXTREMELY ADORABLE. I knocked all 378 pages of this one down in 4 hours and 10 minutes. GAH. THE CUTENESS IS ALL COMING BACK TO ME. 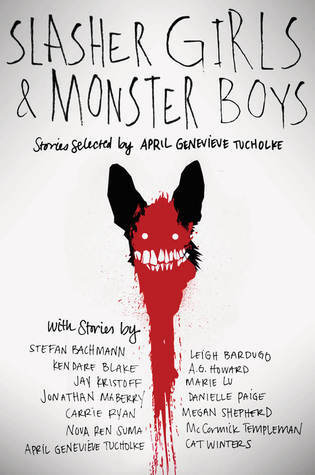 After finishing When Dimple Met Rishi, I mixed it up quite a bit by reading some stories from Slasher Girls and Monster Boys! I had heard Lala from BooksandLala on BookTube talk about this one, and after loving A Tyranny of Petticoats (my first anthology) I definitely wanted to check it out! After reading one story in this, I would generally read something else for a bit, and then come back for another story, so I didn’t end up finishing it (and I had to take it back to the library, so I’ll have to check it out again!). However, from what I did read, I quite enjoyed it! Most of the stories were intriguing, but my absolute FAVORITE out of the ones I got to was Hide and Seek by Megan Shepherd. I even ended up writing a villain’s synopsis for it during the Biannual Bibliothon! Overall, I read 213 pages of SG&MB during the readathon, which clocked in at 4 hours and 7 minutes. Okay, can we just take a minute to appreciate how GORGEOUS this cover is? It’s AMAZING. Anyhoo, I had read Everything, Everything the week before, and since I really enjoyed that one, I definitely wanted to check out TSIAAS! I’ve heard SO many good things about the audiobook, so I was able to check that out from my online library. And can I just say- THE RUMORS ARE TRUE. THE AUDIOBOOK IS FANTASTIC. It was such a cute story, and, bonus, I was coloring while I listened! I believe the audiobook is about 8 hours long (384 pages), and I listened to it on 1.5x speed, so it took me 5 hours and 39 minutes, the last hour and a half of which was on the second day. Speaking of the second day, it also marked the start of the Biannual Bibliothon, and since I was attempting to read 7 books for that (psh), I wanted to get in a book after midnight. 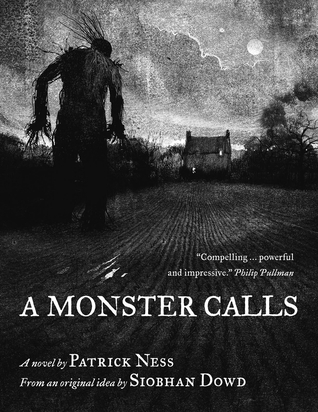 I went with A Monster Calls as it’s a super short and fast read even though it’s 205 pages, so it only took me 1 hour and 31 minutes. And it was SO SAD but SO GOOD. I still have yet to watch the movie because I’m kind of terrified but I WANT. Sigh. The story was amazing, the illustrations were incredible, and like I said, the story reads extremely fast and I’d highly recommend it! 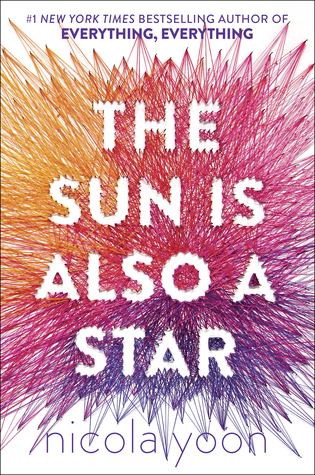 In the morning, I finished The Sun is Also a Star and then started in on Everything All At Once by Katrina Leno. I’d previously read her other book, The Lost and the Found, and really enjoyed it, so I was able to request and receive an e-ARC of EAAO from Edelweiss. I’m so happy I did! This was such a beautiful, sweet story, and it was completely unexpected. I even managed to get a review up, so you can check that out here! As for my stats, it was 368 pages and took me 5 hours and 27 minutes to read. And finally, I hadn’t quite made the 24 hours, so I needed to keep reading! 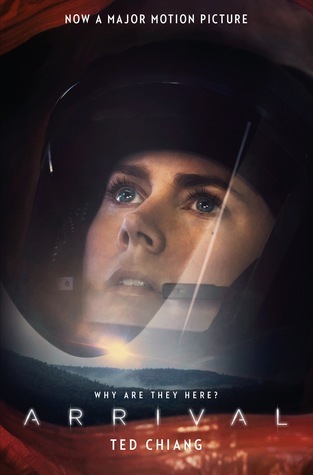 A couple of days earlier, I had watched the movie Arrival with my parents and thought it was FANTASTIC. Come to find out, it was based off of a short story, so I downloaded it on Kindle, and with about an hour left needed to read and only 40 pages in this story, I figured it was an easy solution! However, at that point, I was completely burnt out and my eyeballs were NOT FOCUSABLE, so I only ended up reading 14 pages in 56 minutes. Hopefully I can finish this one soon; I honestly don’t think it should take too long! Whew! All of that put together, and I read for 24 hours and 54 seconds, which amounted to 1,559 pages! That’s incredible! I’m super proud and happy with how I did this round, it’s still one of my absolute favorite read-a-thons, and I couldn’t have done it without all of the awesome support on Twitter. It’s so fun to know that so many other people are reading as hard as they can alongside you! I can’t wait for the next round, and I hope some of you participated/will participate next round! I hope you all enjoyed this little recap! Let me know how you did if you participated, whether you’d like to participate next time, or simply which books you’ve read recently! 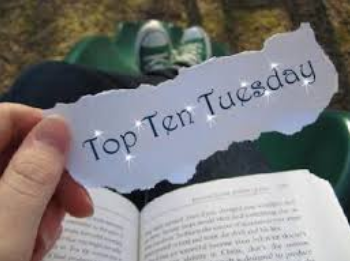 ‹ PreviousDown the TBR Hole: This is working!!! Eek! WOW congratulations! I’ve been wanting to do this, but knowing y terrible attention span, I keep shying away from it. 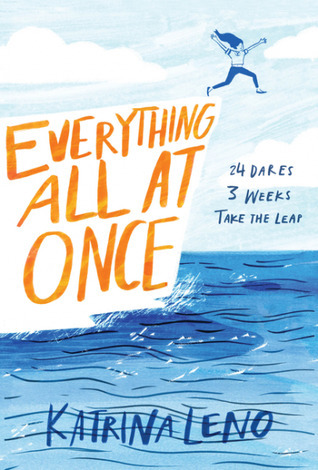 I jut finished Everything, Everything too and I absolutely loved it! I plan on posting a review of it soon. I’m definitely looking forward to reading The Sun is Also a Star. You did awesome with this!! Great job! when is the next one? Thank you!! I think January? I believe it’s a couple of times a year. Yeah, I think it’s twice a year or so- makes sense though; it’s obviously a huge effort to put it together and it’s a huge commitment if it’s more often than that! YAYAYAY! I’m so glad, I love this readathon! I’m really impressed! Congrats on your accomplishment! I could never do what you did… Pretty fast reader, huh?